Treat damage to tooth pulp with a root canal. 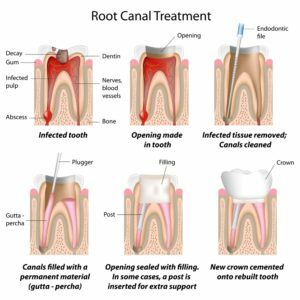 Root canal treatment is necessary when the pulp (soft tissue inside your tooth containing blood vessels, nerves and connective tissue) becomes inflamed or diseased. 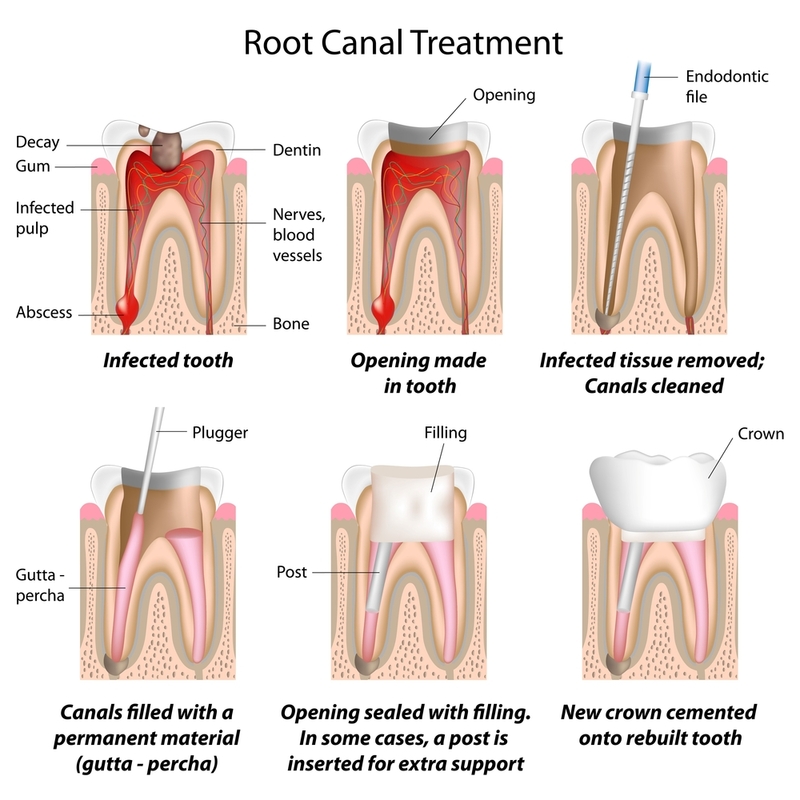 During root canal treatment, our dentist removes the diseased pulp. The pulp chamber and root canal(s) of the tooth are then cleaned and sealed. Tooth is tender when touched. Tooth or gum pain, discoloration, or prolonged sensitivity to heat or cold. Tooth abscess (pus enclosed in the tissue at the tip of the infected tooth). Swelling or tenderness in the lymph nodes under your jaw.